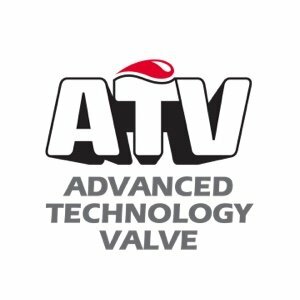 ATV S.p.A. is a privately owned Company established in February 2006 with the mission to serve the energy industry with high quality flow control technology. The Company is located in Colico, 100km North Milan on the east shore of lake Como. ATV is operated by a team of dynamic and skilled engineers with strong background in product design and manufacturing. The Company has established major R&D capabilities with dedicated facilities which supports the development of new technologies in flow control applications and of custom-made special products. ATV offers to Customers a partnering approach which is particularly important in the current market situation with fast-track projects. Provide flow control solutions to the most demanding requirements of the Oil & Gas upstream and downstream industry, oil and gas transmission, Power industry (conventional and nuclear). ATV organization includes a strong engineering team consisting of mechanical engineers with MSc degree competent in product design and in manufacturing engineering. ATV Engineering Department operates state of the art design tools with last generation solid modeling on Solid Edge and Solid Works software, linear and non linear finite element analysis with ANSYS code and computational fluid dynamic analysis with CFX. The development of new products is carried out using proven FMEA and FMECA tools to minimize the development risks and increase product reliability. ATV Engineering Department has dedicated material and welding engineers.